You will receive complete prenata l care. This includes regular appointments and routine lab work. Prenatal appointments usually last about an hour. At every appointment we will discuss all the various aspects of your pregnancy and answer any questions or concerns you may have. 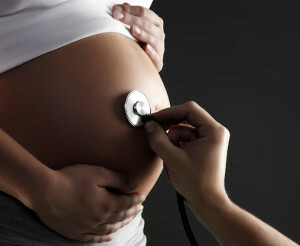 We will perform all the tests and measurements that good prenatal care involves. We will discuss various pregnancy and childbirth related subjects, including childbirth education, nutrition, common pregnancy complaints, newborn care, and any others subjects of interest to you throughout your prenatal appointments. Your midwife will bring an experienced assistant and possibly a student with her to your birth. We will arrive when you are in established, active labor, or whenever you desire us to come. We will monitor the baby and the mother throughout labor and keep a watchful eye that labor is progressing in a normal way. You will provide a small list of easily obtainable supplies, and we will bring all the rest of the necessary equipment to the birth. We will be as active or as hands-off as you need us to be during your labor. We will happily give you as much or as little help as you need for labor support, and we will offer suggestions for coping with and relieving the pain of labor as desired. We maintain careful monitoring of both baby and mother right after birth and we remain at least 2-3 hours after birth, longer if necessary. After the birth, we will assist the mother with a shower or bath if she desires, clean up any mess and perform a complete newborn exam. We will also help facilitate nursing as needed. We will typically return on the 2nd and 5th days after your baby is born to assess the baby and mother. After the initial postpartum home visits, there will be regularly scheduled appointments to monitor the baby’s growth and development, and also the mother’s recovery. Each client of Organic HomeBirth is welcome to utilize an inflatable La Bassine birth pool. The pool kit is included in the practice fee. Clients of Organic HomeBirth are welcome to take advantage of our partnership with Danica Donnelly and Jackie Parr to receive discounts on birth photography. More details here. The practice charges $3,100, including a non-refundable $300 deposit at the first prenatal appointment. We are happy to bill insurance for all covered parts of your care.